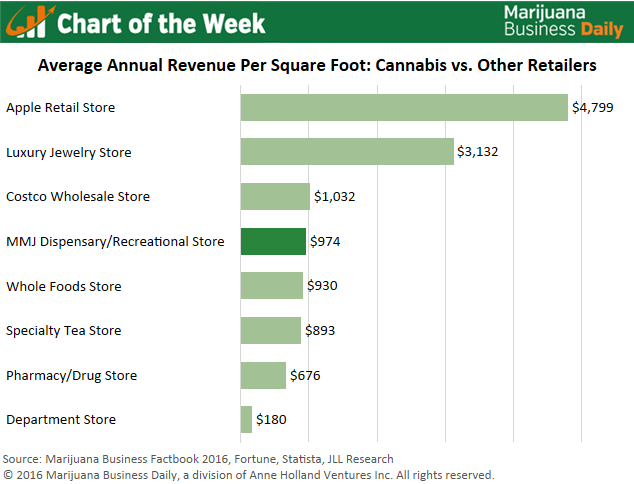 Dispensaries and recreational marijuana shops fare well against other retailers in a key financial metric: revenue per square foot. Cannabis storefronts average $974 in revenue annually per square foot of space – slightly higher than a Whole Foods and much more than the typical pharmacy, according to the Marijuana Business Factbook. The figure, combined with survey responses from cannabis executives showing that the vast majority of dispensaries and rec stores are either break-even or in the black, indicates that cannabis retailers are fundamentally strong. Revenue per square foot is a commonly used metric to determine how efficient a retailer is in using its assets to generate sales. It is driven in large part by the size of the operation, the price point of the product and overall sales levels. The average Apple Store brings in roughly $4,800 in annual revenue per square foot, which reflects the high price of the tech giant’s products and the relatively small size of the average store. On the other end of the spectrum, the average department store takes up much more space, while its products vary greatly in price – leading to an average revenue per square foot of $180. 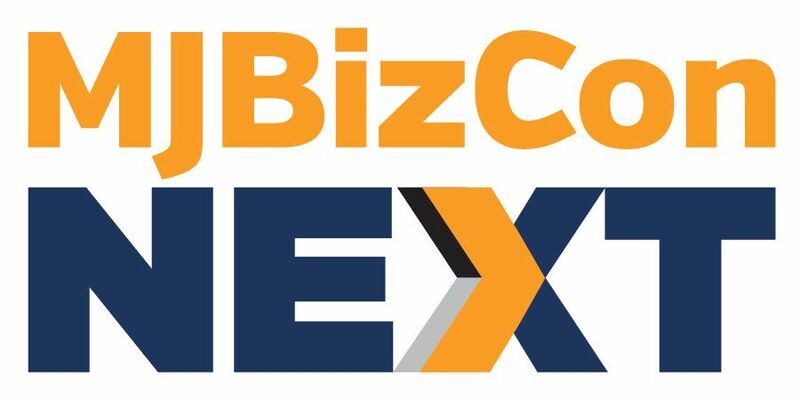 In the cannabis industry, retailers can cram a lot of product into a relatively small amount of space, and the average price point is attractive. Still, revenue per square foot in the cannabis industry can vary greatly depending on many other factors. Karl Keich, an industry consultant who runs a Seattle recreational marijuana store, said strict zoning rules on cannabis companies in many areas of the country have led to a scarcity of available property. As a result, many dispensaries and rec shops are stuck in buildings that are too big to merchandise effectively or too small to maximize revenue. Their annual revenue per square foot is therefore lower than the industry’s average. Furthermore, savvy landlords who know their property is suited for the cannabis industry can command higher rent, increasing the revenue per square foot needed to operate in the black. If the cannabis industry can eventually operate under normal business circumstances, particularly on the real estate side, average rent per square foot will likely rise.